Book A Baby Ride Home In A Safe Luxury Limo Service! You have been waiting for this moment for 9 months and the day has finally arrived. First of all congratulations from all of us at Toronto Limo VIP. We know all you have been through and how exhausting it must be at the hospital after having a precious baby. Not being in the comfort of your own house and in your own bed can get very tiring. By ridding home in our luxurious limousines you will be able to sit back and relax in luxurious comfort. For those of you who have been surrounded by family and friends, it is time to lavish them in style by allowing them to ride in luxurious comfort with you and the baby on the way home from the hospital. Allow your family and friends to know how proud you are of your new precious baby. Ride home in comfort and style with your new baby that you have been waiting months for in your lap. By renting our luxurious limousine ride home from the hospital with your brand new precious newborn, you are sure to make this a special occasion for the whole family. All family members want to welcome home a baby from the hospital including the baby’s parents, siblings, aunts, uncles, and grandparents. Let this be a special occasion for all, by making it a memorable moment they will never forget. • When it comes to bringing your brand new precious baby home for the very first time from the hospital you want it to be the smoothest ride possible. Not only will you and your family be comfortable in Toronto Limo VIP luxurious and spacious limousines and service, but your precious little baby will be very comfortable as well. Your baby will feel the love by being cuddled in your arms and not having to be strapped into a car seat for this most precious ride home. Along with being comfortable, our number one concern is to make sure you will feel and arrive safe. • Instead of focusing on all of the crazy drivers on the road turn your attention to your baby. Sit back in our spacious luxurious limousine and relax. As a new dad, you should not have to stress over taking your precious baby home and as a mom you should not have to be squished in a back seat watching every move of the driver and of the other drivers on the road. 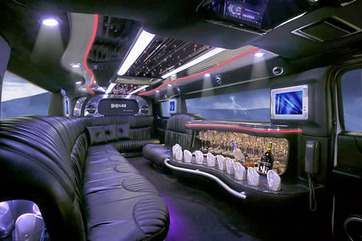 Instead of driving in your own vehicle, rent one of our luxurious limousine ride home for a comfortable relaxing ride. • The baby’s mom has not only carried the baby for nine months but also went through labor. She has brought a most precious baby into the world and it is time to pamper her with one of our luxurious limousine ride. She will be treated with V.I.P. status. Let this be a day that she will remember forever not only for bringing your precious baby home but also for the love you have shown her for treating her like a Queen. Bringing a precious baby into the world is a miracle. All miracles whether small or large need to be recognized and celebrated. We are here to help you make this most precious first ride home memorable forever.